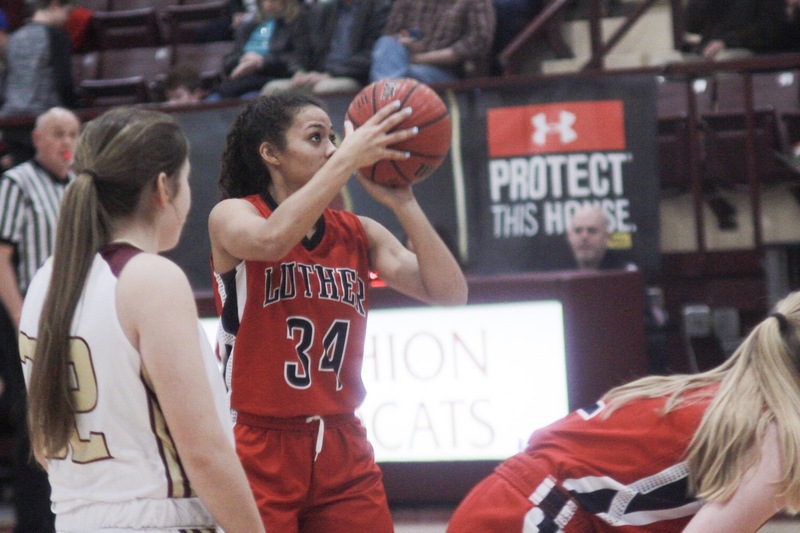 The Luther Lions and Lady Lions have their eyes on basketball playoffs with just four games left in the season, and brackets to be released in just a few days. 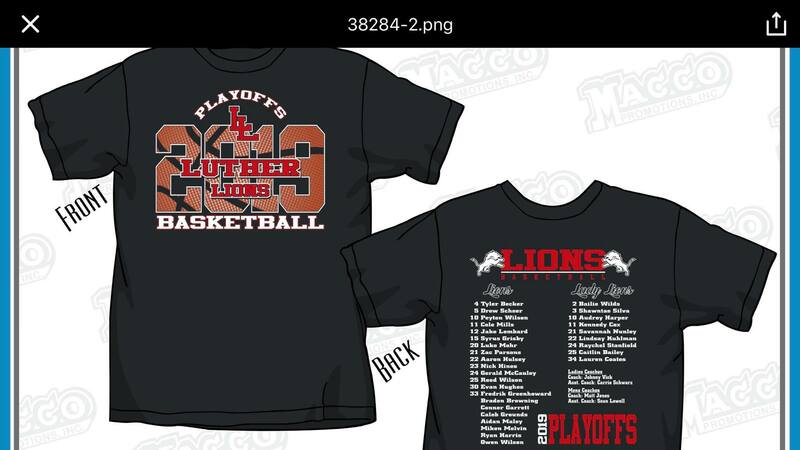 In fact, Luther Basketball playoffs t-shirts are for sale. 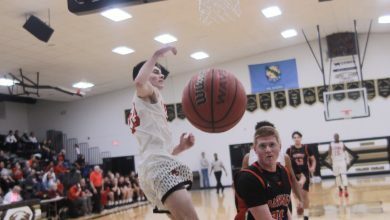 The Lions had a Tuesday night road game to Cashion, but both teams lost. 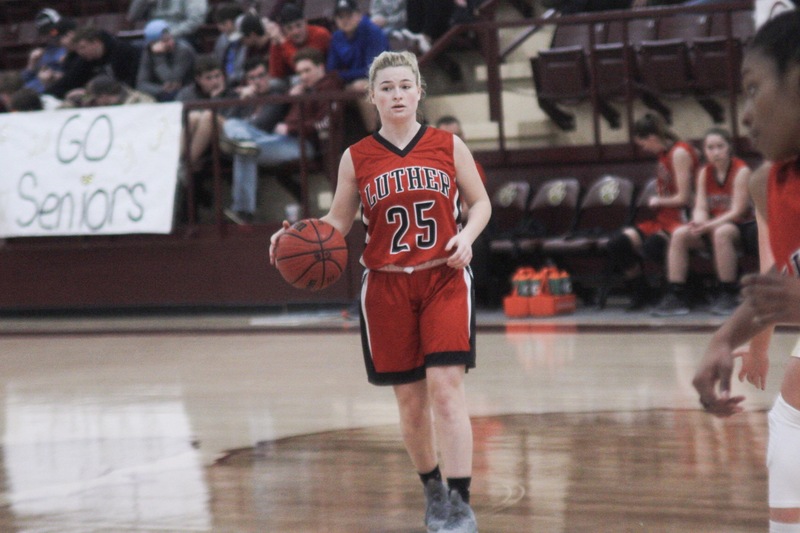 Both defeats were bitter after both Lions’ teams had stellar showings at the Tri-County Tournament in Altus last weekend. The boys won the whole thing, and the girls lost the championship game by just one point. Four Lions also were named All-Tournament players, Caitlin Bailey, Raychel Stanfield, Tyler Becker and Syrus Grisby. Playoffs are coming. 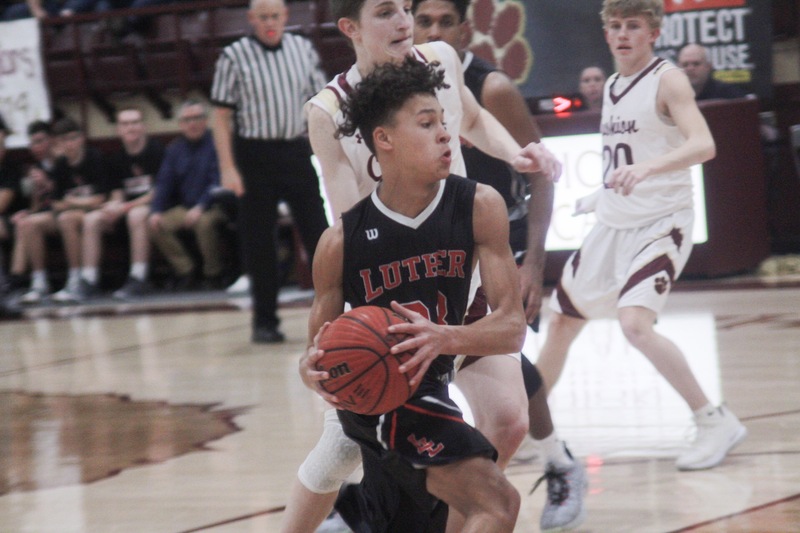 Support LUTHER LIONS COVERAGE. Thank you. Back to the Tuesday road game, both Lions’ teams lost by 11 points. 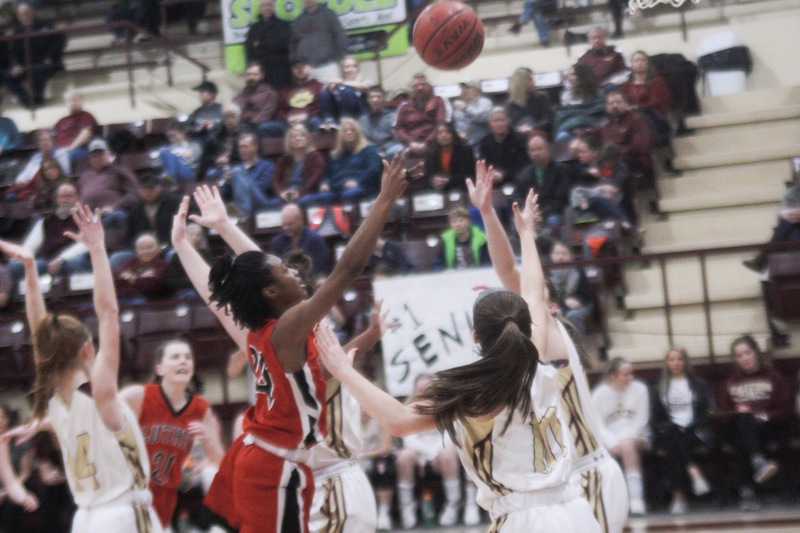 The Lady Lions played the Lady Wildcats neck-and-neck, but fell in the second half. Junior Raychel Stanfield had 29 points and six rebounds. Senior Lauren Coates had seven points, Bailey had five and Bailie Wilds had three points. Shawntae Silva led with four assists, Wilds had three and Bailey with two. 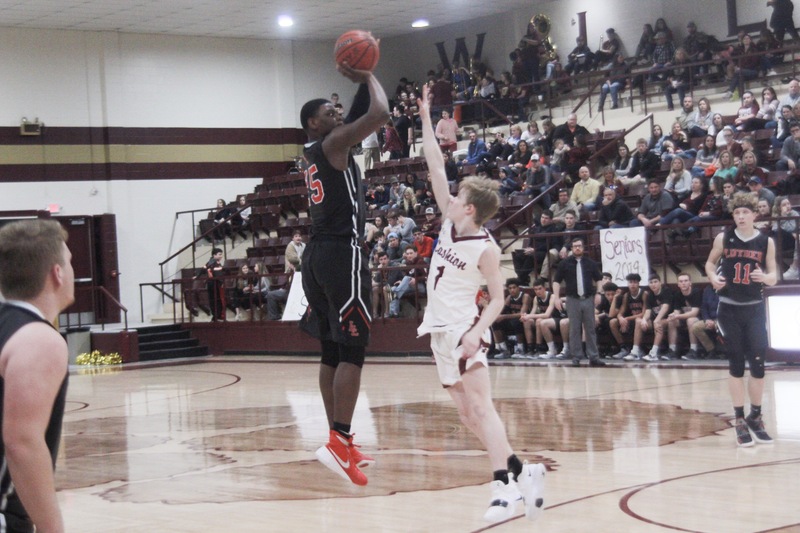 The Lion boys had similar luck in Cashion, following closely on the Wildcats’ heels the majority of the game. 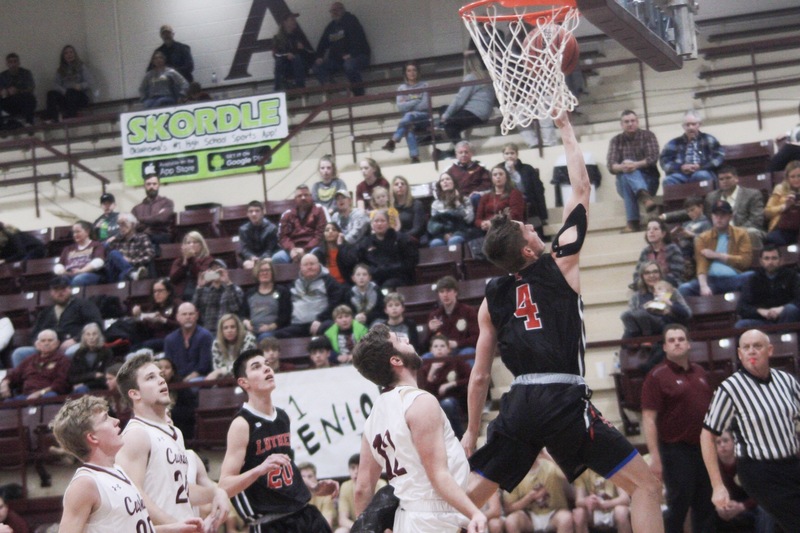 Three starters Grisby, Becker and Cole Mills got in foul trouble with four each in the third quarter and sat during the last of the third and fourth quarter. When the trio went back in, each fouled out. The final score was 71-60. Grisby and Gerald McCauley had double doubles. Grisby was the top scorer with 20 points and 11 rebounds and McCayley had ten points and 11 rebounds. 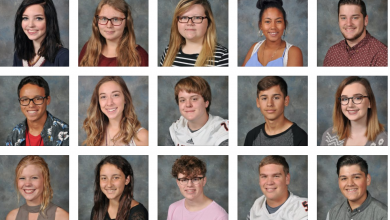 Other scorers: Becker, 8; Nick Hines, 6; Mills, 5; Peyton Wilson, 3; Luke Mohr, 2; Jake Lombard, 2; Fredrik Greenhoward, 2; Reed Wilson, 2. The Lions will play at Harding Fine Arts Academy Friday, girls at 6:30, boys at 8 pm.